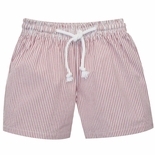 Vive La Fete Smocked Clothing Girl Dresses Boy Outfits & Shirts and Monday's Child Monogrammable Clothing. 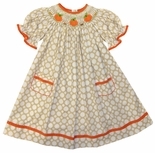 Children (and moms) just love Vive La Fete smocked clothing, Vive La Fete smocked dresses and Vive La Fete smocked outfits because of the fun and cute smocked embroidery designs. 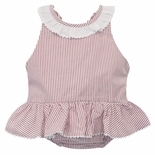 Vive La Fete smocked dresses and Vive La Fete smocked outfits are hand crafted for babies, girls and boys and hand smocked and embroidered in El Salvador. The world's most beautiful and intricate embroidery work in children's smocking comes from this area of the world. 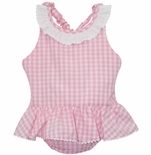 Let Children's Cottage be your source for Vive La Fete smocked clothing, Vive La Fete smocked dresses and Vive La Fete smocked outfits, John Johns, longalls and bubbles for your little ones.